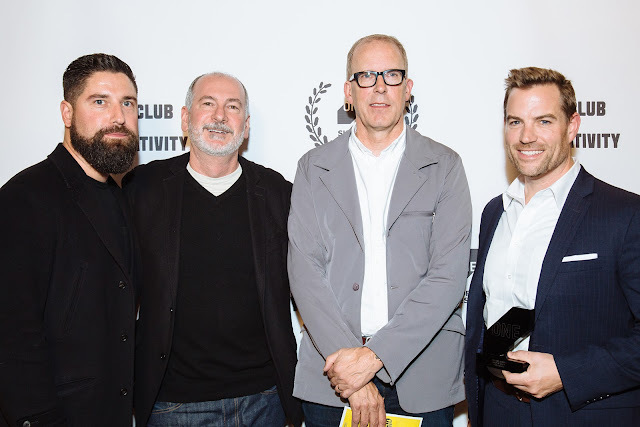 One Screen Short Film Festival (http://www.onescreen.org), the premiere short film festival that unites the film and advertising worlds, announced 2017 winners at its annual awards and screening held last night at the Sunshine Cinema in New York. One Screen is part of The One Club for Creativity (http://www.oneclub.org), the foremost global non-profit organization celebrating creative excellence in advertising and design. Now in its sixth year, One Screen focuses on all forms and aspects of short films — animation, commercials, music videos, short narratives, spec work, movie poster design, credits, etc. — and has a mission to celebrate and award the best of the film and ad industries with no limitation and total artistic freedom, all on one screen. The festival doubled the number of entries received this year, with work submitted from 45 countries. This year’s awards represented a coming full circle of sorts, as One Screen Best in Show went to “The Escape”, the latest BMW Films work by Geisel Productions and Anonymous Content. The One Club’s One Show was the first ad industry awards competition to recognize original branded content, creating the separate new category of Branded Entertainment in 2003 to accommodate the original launch of BMW Films. Entries were judged by a 40-person jury of leading film directors, producers, ad agency creatives and heads of production companies. Among the industry luminaries on this year’s jury was renowned director and writer Paul Haggis, whose credits include Oscar-winning films such as Crash and Million Dollar Baby and HBO's acclaimed mini-series Show Me A Hero. To view the full jury, please visithttp://www.onescreen.org/#jump-judges. This year for the first time, One Screen partnered with the San Diego Film Foundation, producers of the San Diego International Film Festival (SDiFF, http://sdfilmfest.com), which last week screened entries from the One Screen Branded Entertainment category and selected their own winners, who were presented with a SDiFF award. Aligned with The One Club for Creativity’s ongoing focus to promote diversity and inclusion, One Screen also introduced a new partnership this year with Free The Bid (http://freethebid.com), a non-profit initiative started last year advocating on behalf of women directors for equal opportunities to bid on commercial jobs in the global ad industry. A separate 10-person jury made up of leading agency/brand creatives and directors selected winners of the One Screen Free The Bid Awards, celebrating stellar work created by women and amplifying the call for diversity in the industry. He added that One Screen has become a showcase for the passion projects of accomplished filmmakers, as well as a high-visibility forum to recognize promising young talent. “We’re thrilled with the range and quality of work submitted this year and congratulate all of our 2017 winners,” he said. One Screen Short Film Festival 2017 awards and screening event sponsors include Brooklyn Brewery and Tanteo tequila. For more information about One Screen Short Film Festival, please visit http://www.onescreen.org.